Revised & Updated!! Expanded Version Offers You Even More Information. Are you sick and tired of fighting your pool and not having what you deserve? 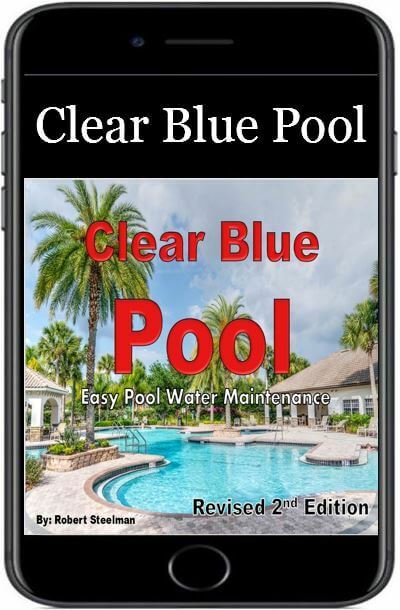 Clear Blue Pool eBook cuts through the confusion with this easy to understand guide to pool water maintenance. Available for computer and mobile devices for $12. 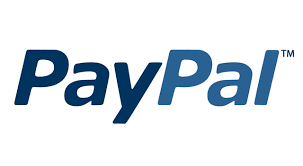 Click on the "Instant Download" button or HERE and get started today!! 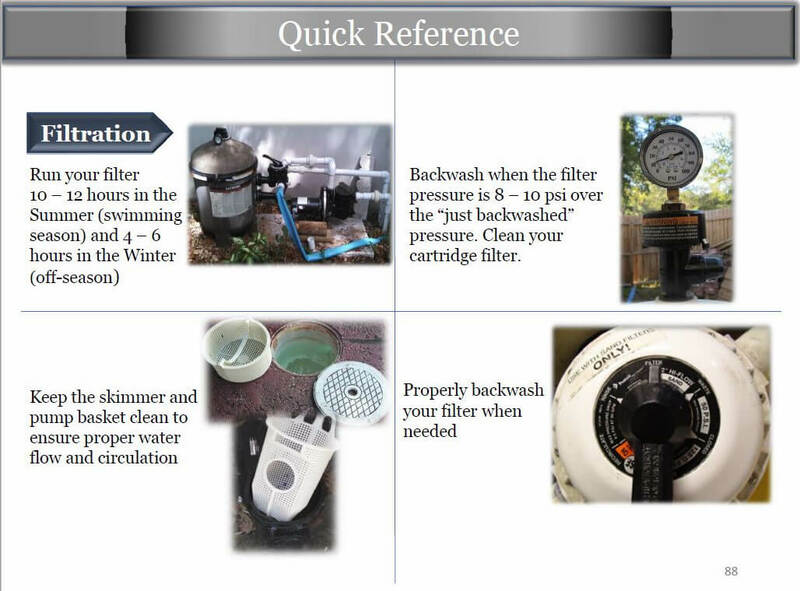 Learn from a real Aquatic Systems Maintenance Professional. You've seen my videos on my site and on YouTube. You've seen me clear up some really nasty pools. You can have the a crystal clear pool just like all of my customers. When I'm finished with a pool it's always perfect. And that information can be found in this eBook. 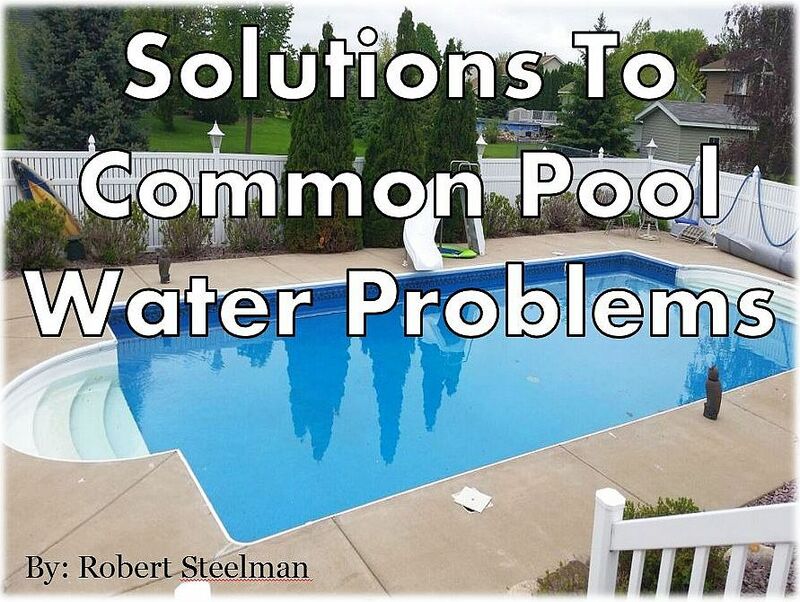 You'll learn how to quickly solve your pool water problems so you can get right back to swimming again. Spend more time swimming and less time worrying about your pool. 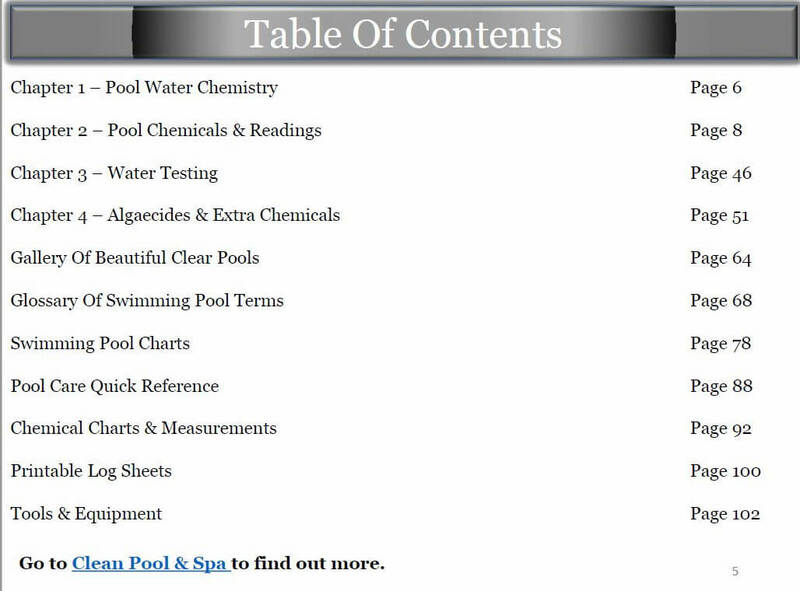 FREE Bonus eBook included in your download: "42 Money Saving Tips For Your Swimming Pool". Works Well On Both Desktop & Mobile Devices. Click the image below for a quick preview gallery of pages. 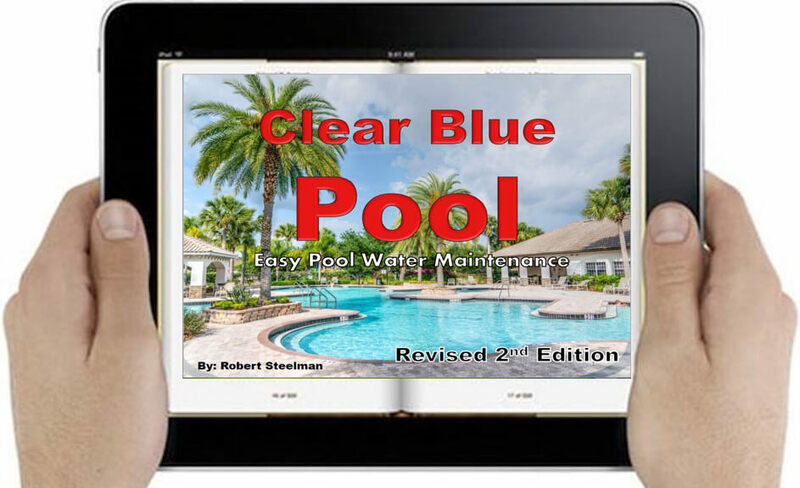 With your purchase you'll receive another FREE BONUS eBook "Solutions To Common Pool Water Problems". Click HERE to get started today. 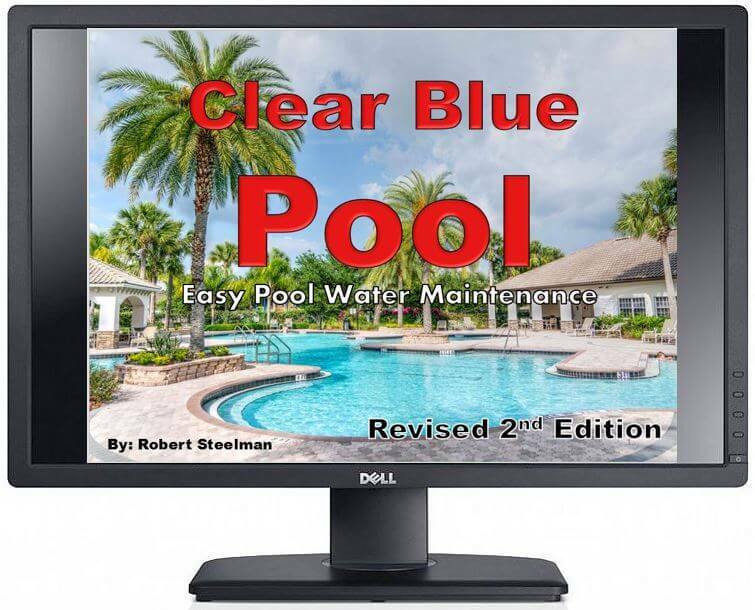 Or, you can buy both "How Clear Clear Up A Green Pool" AND my revised and updated "Clear Blue Pool" for only $19. Just CLICK HERE. From solid green to perfect in only 3 days!! 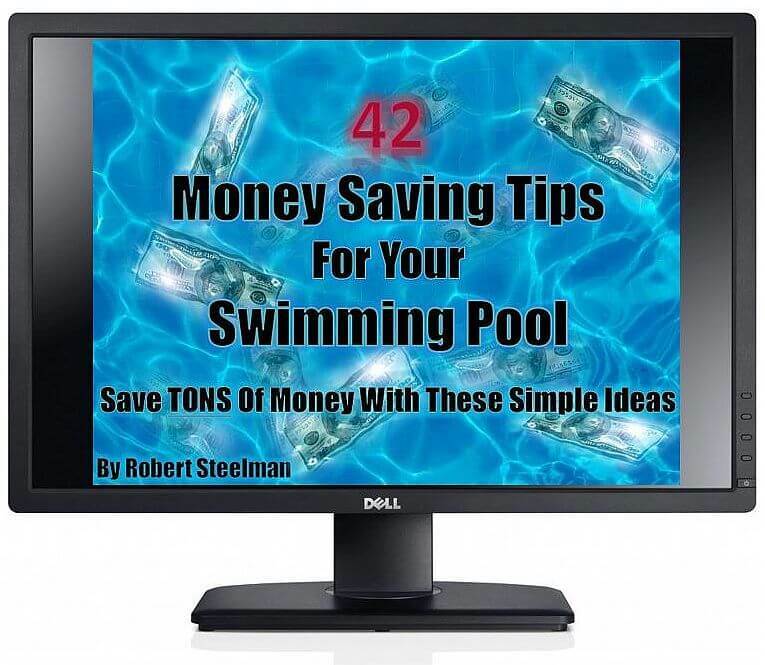 With any eBook purchase you'll also receive my other eBook "42 Money Saving Tips For Your Swimming Pool" for FREE!! 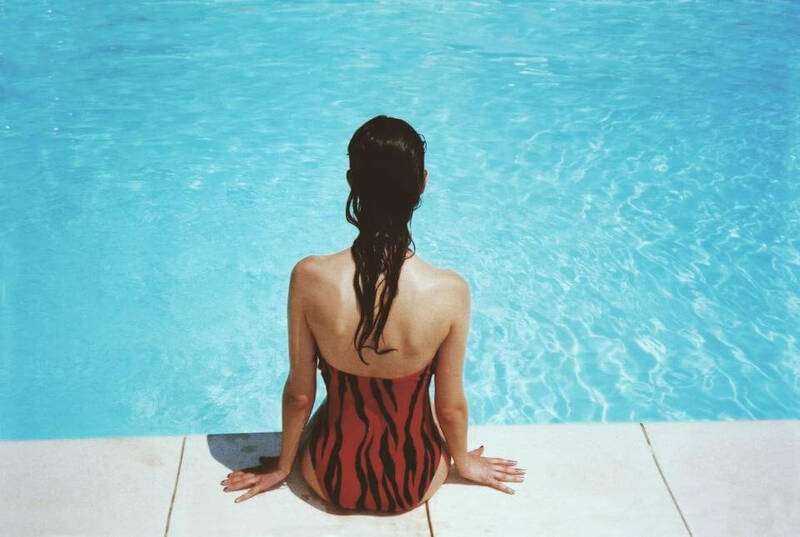 All the information you want for the perfect pool all Summer long. Wanted to drop a quick email to let you know everything came out perfect. I'm finished with the pool store. They sold me tons of crap I didn't need. Your way was much easier and the results prove it. I'm sending before and after pics. Incredible. Can't thank you enough Robert. You certainly saved my Summer and family fun time. The pool store was the only place I knew to get anything. The guys who work there are nice but are absolutely clueless about pool maintenance and chemistry. They know how to sell products, stock shelves, and run the register. I fought my pool for 3 years and was about to give up. I bought another eBook from Matt G. but the guy seemed to be just another pool store employee telling me the exact same thing that cost me $2500 over 3 years. I went on YouTube and stumbled on Robert's videos. Nobody else talked the way he did and was able to clear up pools with such ease. The hurricane video sold me. I bought the videos and eBooks and within 2 days my pool started to go clear, By day 4 it was perfect. I've never looked back. He's a life and pool saver. Thanks so much and wish you were in New Mexico. I know about 50 people that could use you right now. Can't thank you enough for your help. The videos made such a huge difference in how I was taking care of my pool. I had too many people telling me too many different things and was getting nowhere. 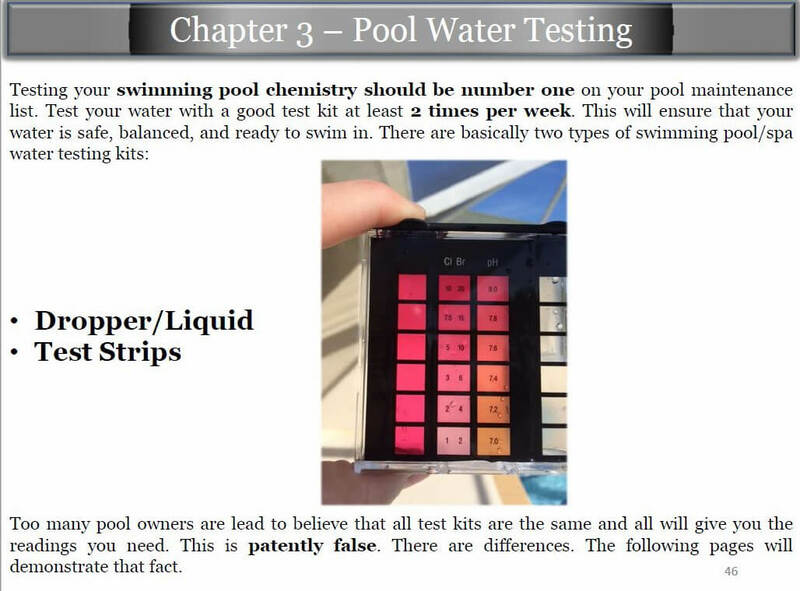 I certainly understood what you meant by Laws of Pool Chemistry. They worked for me perfectly and I saw a difference in my pool after a couple of days. Thanks so much for saving my Summer and my pool. Not to mention my sanity. Thanks to Robert I finally have my pool back after spending over $400 at the pool store. After talking with 6 guys at the pool store I was about to give up. Nobody knew what they were talking about. You were the only one that took the time to educate me on the points of pool chemistry and why my pool went green. It's been 4 months now and not a single problem with my pool. Thanks so much. After going round with my pool store to the tune of nearly $800 I was about to give up. My wife wanted to fill the pool with dirt and walk away. She was so disgusted with it. I found Robert's website and watched many of his videos on YouTube. The worst one was the sludge and muck. Totally disgusting!! I was convinced he was the real deal so I jumped into buying his eBooks. It has information that nobody at the pool store ever heard of. They had no clue about metals turning the pool an emerald clear green color. I followed his process and within 6 days our pool was completely clear and a perfect light shade of blue. It's been that way ever since. I now purchase a phone consultation at the beginning and end of the year, just to make sure I'm doing what I need to do. Robert is absolutely the best and his videos and pictures prove he is. Can't thank him enough. He saved our Summer and we've saved tons of money. Thank your Robert for all of your help!! Your knowledge and expertise saved me hundreds already!! 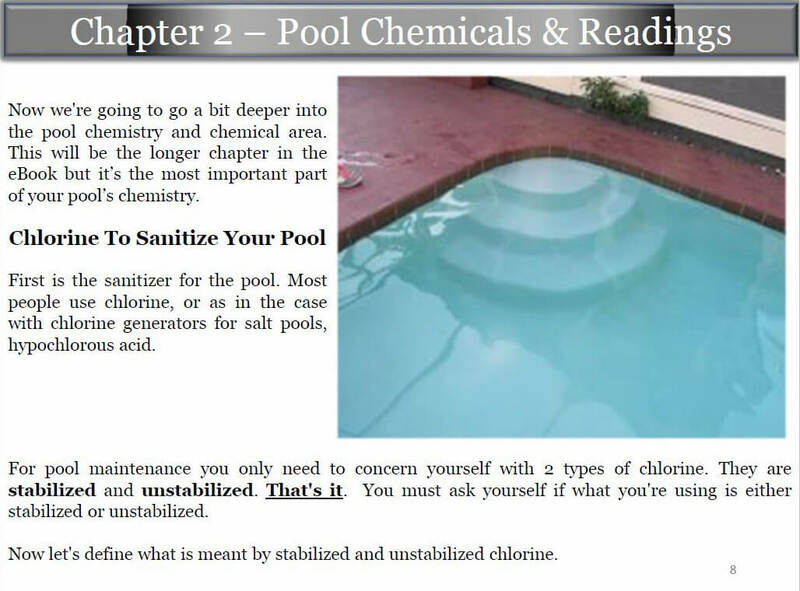 After reading your eBook I took your advice and stopped using the chlorine that was causing my problems. The guys at the pool store didn't even know this stuff. Thanks for writing in such a way that anyone can understand how to take care of their pool. OMG Robert, I can't thank you enough for your eBook!! I was going round and round, pulling my hair out, and trying to figure out this pool situation - lol. I took your advice and within a matter of a couple of days I could see the bottom of the deep end once more. The next day the pool was totally cleared up. Best decision I made was getting your eBook. Now I know. Thanks a million! !